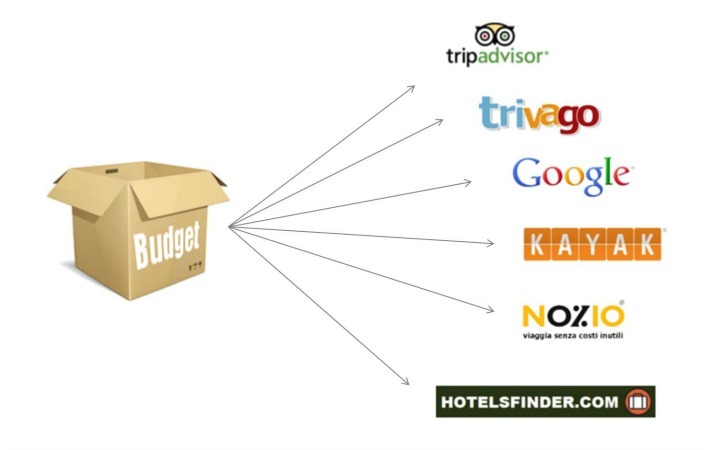 TripAdvisor, Trivago, Google, Kayak, Hotelsfinder… how to choose the right portal to promote your hotel? Choose them all! A multi-channel marketing campaign for your hotel aimed at meeting the search habits of travelers, who now make use of a multitude of sites to search and book hotels at the cheapest price. – we’ll boost traffic towards your booking system and official website. Why is it important to be present on these portals? TripAdvisor, Trivago, Google Hotel Finder, Kayak, Nozio… these are just some of our partner sites, selected based on popularity and their potential to convert travelers into direct bookings on your official website. Millions of monthly users searching for the most convenient offers to improve the visibility of your establishment and brand reputation. Do you want to know more on this topic? Ask our experts at Nozio Business for more information.